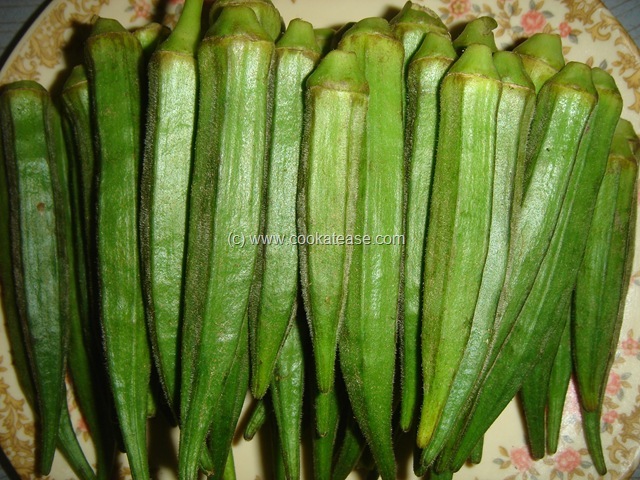 Vendakkai is a wonderful vegetable with more nutrients and fiber. 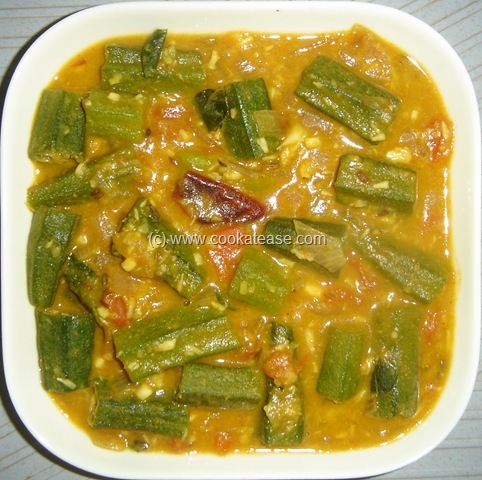 Okra is known as Vendakkai in Tamil and as Bhindi in Hindi. 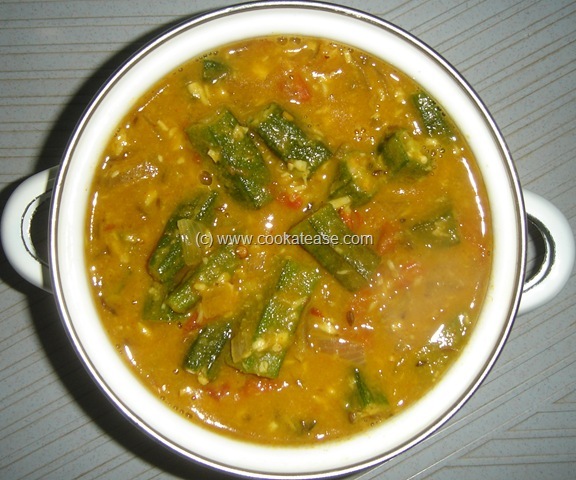 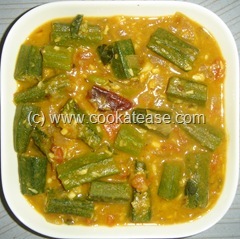 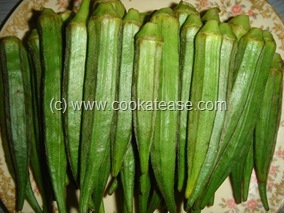 Here is Vendakkai (Okra) Kootu as a side dish for Rice or Chapatti. 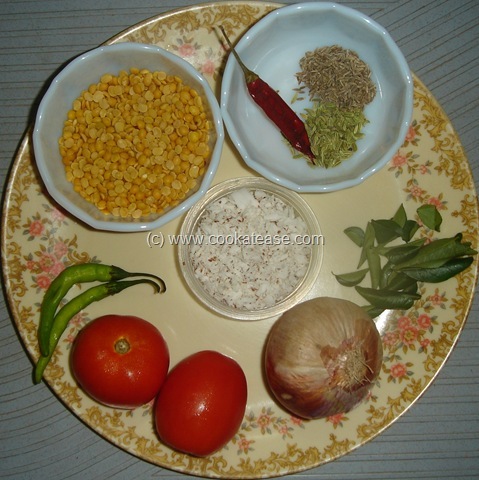 Boil toor dal in a cooker to soft; wash and cut vendakkai into one inch long pieces; chop onion, tomato, green chilli, and curry leaves. 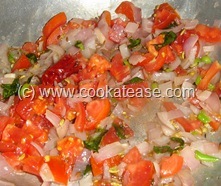 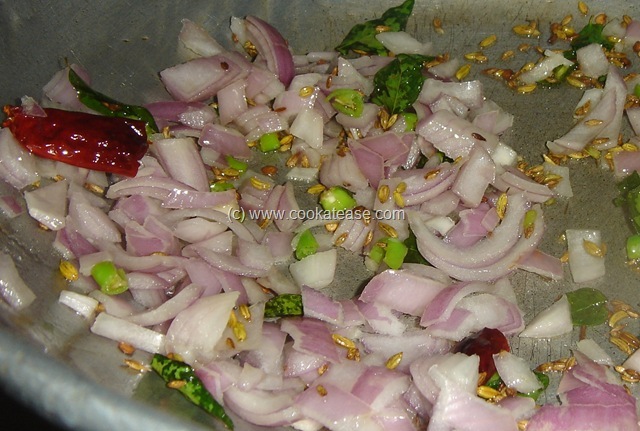 Heat a pan, do the seasoning; add onion, green chilli and fry till onion is soft; add tomato and fry. Add salt, turmeric, red chilli, coriander powder and mix well; add vendakkai and fry for few minutes; stir in between and cook till okra and tomato are cooked soft; now add boiled toor dal and grated coconut; if needed add some water and adjust salt and consistency; bring to boil and keep for a minute. 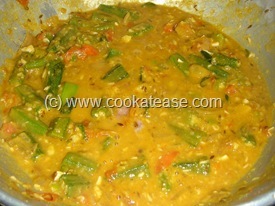 Remove and serve hot with rice or chappati. 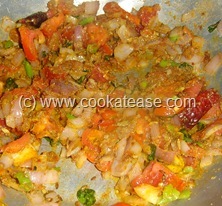 Vendakkai should not be over cooked to avoid stickiness; this is the reason for adding it after tomato. 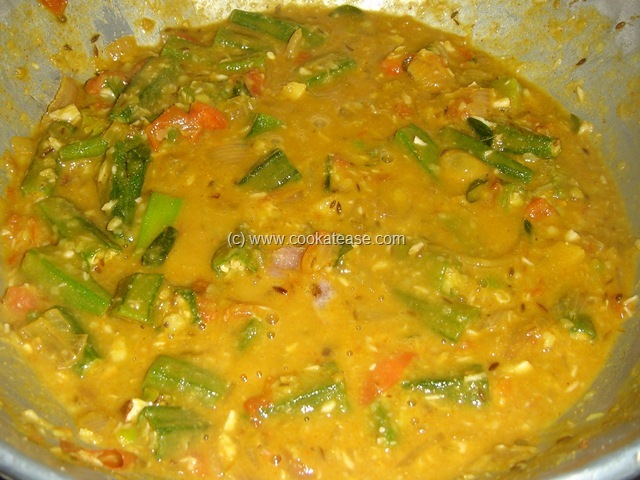 Kootu with bhindi sounds yummy…never tried like this..will give a try..